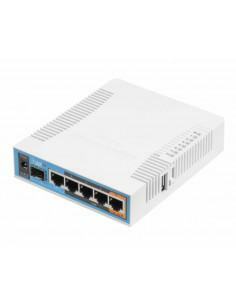 The RB960PGS hEX PoE from MikroTik is a cost-effective, multi-port Gigabit Ethernet router powered by an 800MHz processor. 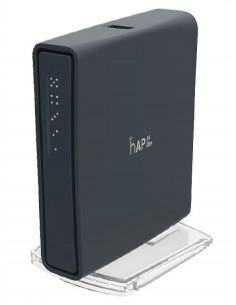 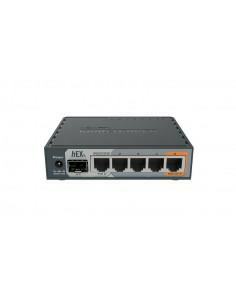 The hEX PoE features (5) Gigabit Ethernet ports, (1) SFP port, (1) USB 2.0 type A port, and 128MB RAM. 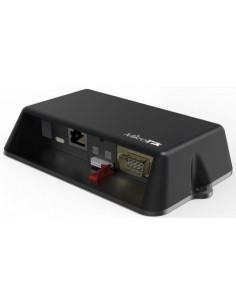 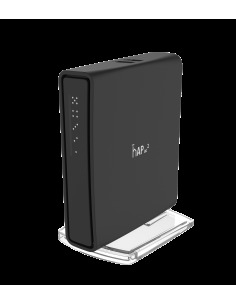 This model supports passive power over Ethernet and 802.3af/at power over Ethernet on ports 2-5. 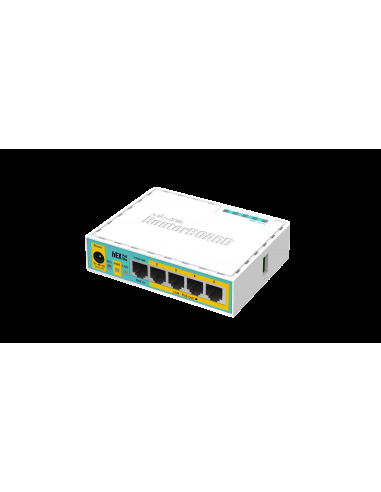 The cloud core router is powered by RouterOS, a full-featured routing operating system with features such as dynamic routing, hotspot, firewall, MPLS, VPN, advanced quality of service, load balancing and bonding, real-time configuration, monitoring, and more. 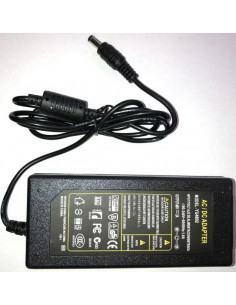 This product comes with a Level 4 RouterOS license.